Quiet, easy to use, and energy efficient, ductless heat pumps provide home heating and cooling at a fraction of the cost of electric baseboard and wall heaters. Ductless systems distribute warm or cool air quietly and evenly, making your living areas more comfortable. Installing a ductless system is low-cost and easy, which makes them an excellent option for replacing or supplementing existing electric systems. 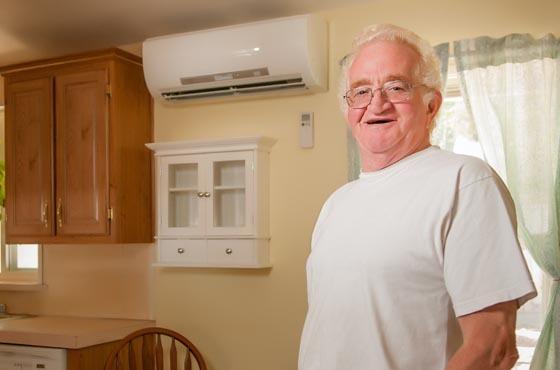 Each ductless system consists of an outside unit and one or more inside “heads” that serves zones in your home. Find out where to shop for a ductless heat pump, or stop by our office to see a display model. 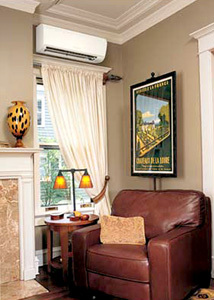 Ductless heat pump shown above a window in a living room. Single family homes with electric heat such as wall heaters, baseboards, or a forced air furnace. If your home has a heat pump, please contact us for eligibility. Homes with other heating types may qualify on a case-by-case basis. Contact our Energy Experts to see if your home qualifies. The ductless heat pump must be on the Qualified Products List and be installed by a participating installer. 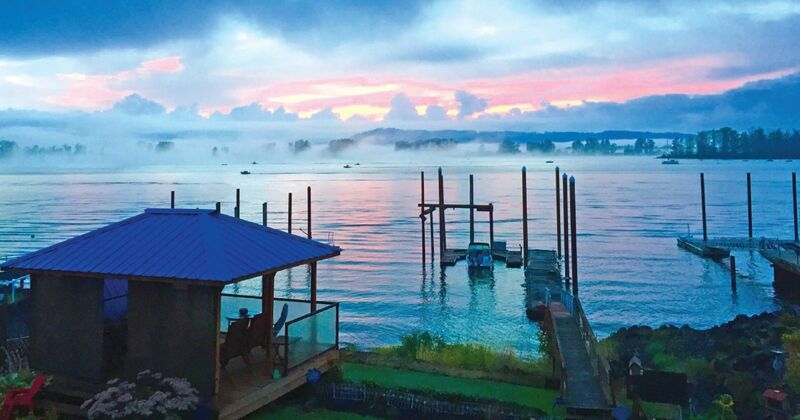 $1,000-$1,200 rebate for approved installations in single-family site-built, manufactured or floating homes. $800-$1,000 rebate for approved installations in single-family site-built, manufactured or floating homes. $400 rebate for approved installation in new site-built homes. An indoor unit is mounted on a wall. An outdoor unit sits on a concrete pad on the ground. A remote control is used to adjust the temperature. The indoor and outdoor units are connected by a small bundle of cables, including a refrigerant line, that requires a 3-inch hole in the wall for installation. Ductless systems extract heat from the air and use it to warm your home. This is more efficient than standard electric heaters, which create their own heat. Ductless heat pumps can also reverse the process to cool your home. Request Proposals – Contact a qualifying contractor to arrange for a home consultation. To find a local contractor, search our list of PTCS contractors (PDF). A complete list of contractors can be found at www.goingductless.com. Complete the Installation – Once your installation is complete, your contractor will notify the PUD and we will schedule an inspection of your new system. Receive Your Rebate – We will process your rebate within 3-4 weeks of completing the inspection and receiving all the required paperwork. To find a local contractor, search our list of PTCS contractors (PDF). For a list of all participating contractors in the region, visit www.goingductless.com. We partner with Efficiency Services Group (ESG) to bring you this rebate program. Call ESG at (888) 883-9879 or email ESG to start your project. Use this chart (PDF) to compare the cost of common heating systems producing the same amount of heat. It can help you decide which heating system is right for you.